« The BFF is calling it out: Submit! 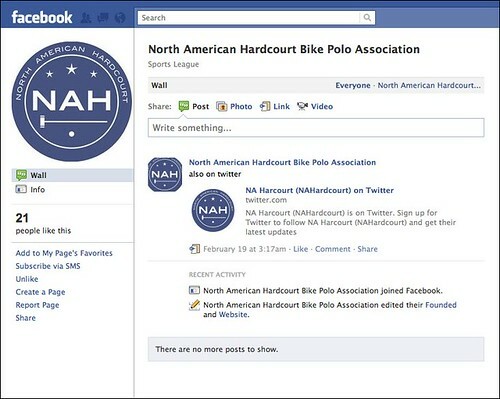 This entry was posted by Doug D on February 23, 2011 at 9:40 pm, and is filled under Bike Polo, Organization. Follow any responses to this post through RSS 2.0. You can leave a response or trackback from your own site. Click to view full size Seen in Sveden’s photostream Look forward to more North American Hardcourt (NAH) updates soon.